“So the women hurried away from the tomb, afraid yet filled with joy, and ran to tell his disciples” (Mt 28:8, NIV). Today is Easter – a wonderful time to celebrate new beginnings, God’s grace and the hope of eternal life. While the colorful eggs and the chocolate bunnies may only last a day, the message of Easter can sustain us everyday. The women who came to visit Jesus on Easter morning came in sorrow and grief. They were prepared to anoint Jesus’ body with spices. Instead, they became the first witnesses to the Resurrection. God is still in the resurrection business. Stalled dreams, broken relationships, frustrations and doubts – all the losses of life are no match for the hope found in the Easter message. The angel told the women, “Do not be afraid.” These words remain relevant for everyone ready to embrace the surprise of joy after a season of waiting in despair. The angel’s next instruction to the women was to “come and see”. God understands our desire for evidence even as we try to live by faith. The women had the chance to examine the empty tomb to bolster their belief in the resurrection. They took advantage of this opportunity and then left the tomb in a rush to share the good news with others. Of course, if their fears had overruled their faith, they might have ran for home without ever stopping to consider the possibility that the good news was true. The promise of eternal life and forgiveness was waiting just a few steps away, but the women had to take those steps in faith. In any journey from discouragement to hope, from defeat to victory, from promise to fulfillment, we always have to take some steps in faith. When the women hurried away from the tomb to share the good news with the disciples, they were “afraid yet filled with joy”. Sometimes something is just so wonderful that it inspires awe bordering on fear. Finding life after death, wholeness after brokenness and direction after confusion can be so fabulous that we become overwhelmed. However, now we are overcome with joy instead of doubt. We have made a discovery worth sharing with the world. In my book, Questioning Your Doubts: A Harvard PhD Explores Challenges to Faith, I explore how I found the Easter message relevant for everyday life. As a trained scientist, I appreciate the quest for evidence – the call to “come and see”. As a minister and an author, I have answered the call to “go and tell”. I draw inspiration from the Easter message in the small challenges of life as well as the big decisions. While waiting for a response from an editor or news about the status of a project, Easter reminds me that good things can come after a season of waiting or an experience of loss and closed doors. Life prevails over death as surely as spring comes after a long, barren winter. 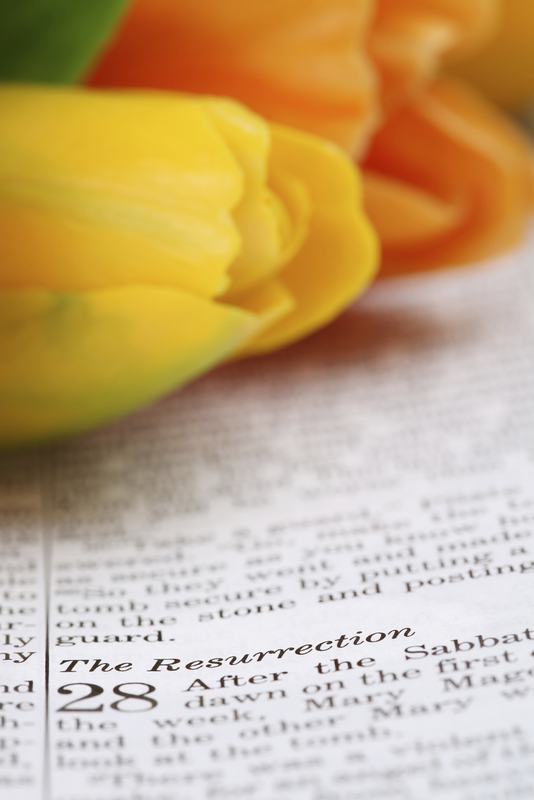 How does the Easter message encourage you? This entry was posted in Writing and tagged Christina M. H. Powell, Easter, Questioning Your Doubts by Christina M. H. Powell. Bookmark the permalink.